Bus Driver is rated 4.5 out of 5 by 47. Rated 5 out of 5 by wooka from A Realistic Simulation Game: Bus Driver! To be quite honest, I was not expecting much from this game. However, wow, this game is one of the best simulation games I have ever played! 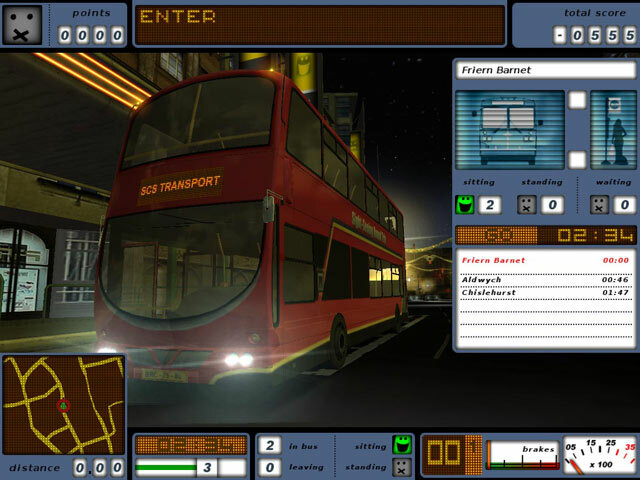 It is true that some of the controls can be tad fiddly and might need some getting used to, but the game definitely will give you a sense of being the real bus driver. There are a lot of little details that make this game tick. Some of these are; sceneries, feedbacks on how you are driving the bus, and various challenges (different road conditions and scenario etc.). It is not one of those crazy car-racing games. It is neither the 'cause mayhem' type of game, so it sits on a relatively serious side of the simulation genre. I am even thinking about giving this game as a gift to one of my friends who is learning how to drive at the moment. Rated 5 out of 5 by shellian731 from Very difficult but so much geeky nerdy fun First off: this is one of the most difficult games I've played from BFG. There is almost no help or directions. You have to figure it out for yourself, so if you aren't into experimentation and frequent failure this is not the game for you. But once you get the hang of it, it's really fun, and you can make creative challenges for yourself. 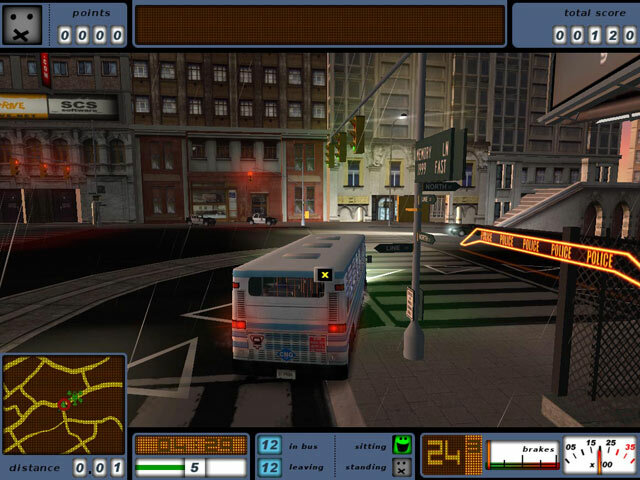 The premise of the game is simple: drive a bus route, pick up passengers, drop them off. You can control the bus by keyboard (which I haven't done, so can give no opinion) or by a gaming controller. I use a Logitech Rumblepad thingy. You can define the commands to control the bus to your specifications, and even fine-tune the steering and brakes. I'm not nerdy enough to figure that out though. So although driving the bus seems simple, it is not easy to control it, and you have to deal with other vehicles on the road, as well as traffic lights. One of the coolest things about this game is that the city you drive through seems real. You can skip picking up passengers and just drive around the city. The graphics are very good. You can get a feel for the geography of the city and change things for fun. For example: one route specifies that you drive this country road with hairpin turns. I hated that road! So to heck with their directions, I found a way to drive the same route through the city without skipping any stops. That gave me a feeling of accomplishment the game programmers probably hadn't thought of! In real life buses have to run on time, but in the game you get a "bonus" for being on time but no penalty. Personally I prefer to drive accurately than fast, so I forget about speed. A couple of bus routes are comprised of taking criminals from jail to the courthouse, or from the airport to jail. You can ignore all traffic lights and drive like a crazy person. The prisoners get very happy and shout with glee when you hit other cars, or streetlights, or police cars, etc. It's very funny. This is a game I have played over and over. It's so challenging that it takes a long time to get boring. I wish there were more games like this one. 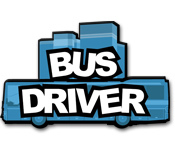 Rated 5 out of 5 by jtrimm from Bus Driver Simulator Review A truly fun and addicting game. 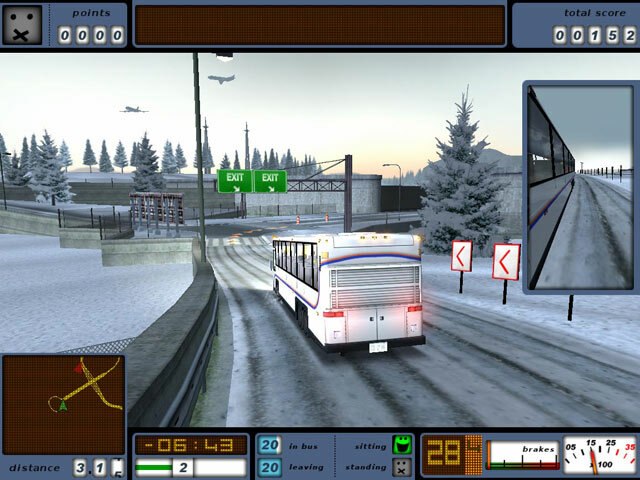 The graphics can sometimes be a pain, but otherwise it is a bus driving simulator worth your time. I think everyone should give it a try! Rated 5 out of 5 by steve_san from Fun Is Spelled B*U*S This is a fun, addictive driving simulator game. There are several tiers of play and multiple routes per tier, so you'll never get bored. You'll also drive many different kinds of buses and passengers, from school children on a school bus to prisoner transport. The driving physics is very realistic as are the sound effects. The music is '80s style. It will take a few routes to get familiar and comfortable with the controls, but you can play this on a keyboard with a little practice. You can also toggle between a behind the bus and a driver's seat point of view. You'll earn a score for each route. Points are earned by keeping passengers happy, being on time and following the rules of the road. Penalties are assessed for driving violations, property damage and frightening the passengers. There are some routes where the driving rules don't apply, just safety and on time arrival. Fun! The only drawback to the game is that you may like it so much you'll get sore hands from playing so often. Ready for the next route! Rated 5 out of 5 by Ziggy_Zigster from "This Bus Is No Bust" When I first saw this game I kind of did a double take. The game looked simple enough, leading me to believe there wasn't much to it. But I could clearly see from the sample pics and video that the graphics were exceptional. Then there is the near 5-star rating here on BFG. I've found most reviews on this site, in my experience, are quite accurate with the exception of a few 'did we play the same game?' moments. This isn't one of those exceptions. It is worthy of its rating. When I finally decided to give the game a go I expected it to be frustrating, which it is - but in the way this kind of game should be. I agree with others that the bus is hard to control at times - BUT you can change the commands to whatever you want - use the letter 'L' for left turn for example. It makes controlling the bus easier. That and adjusting the camera view. I changed the view to what it would look like if I was driving the bus vs the default view of camera from a rear view overlooking the outside of the bus. This makes the game much more enjoyable. As I mentioned above- yes, it is hard to control the bus at times, but vehicles are supposed to require effort to drive correctly. It's not oversensitive as I thought it would be. Just hard in the way that a large vehicle would be. The levels do get harder as you progress and they are repeatable either after you finish the level or at a later time if you wish to try to get a better score. You get scored based on how happy your passengers are, whether you used correct turn signals, braked properly, arrived at destination on time and obeyed traffic rules etc. So there is a concept to this game. The demo hour flew by and I found myself wanting more play time. Hence, buy the game, play forever. Try the demo and see for yourself. Rated 5 out of 5 by iou001 from License Not Required I was skeptical when I bought this game. I thought I had tried playing it years ago and didn't like it. I was wrong. I don't usually play driving games because I'm so terrible at them. Guess what? I STILL AM! But this one makes me laugh when I mess up. TIP: Go to Options/Controls before you play the game so you know what keys to press for blinkers, flashers, horn, etc. And you can change the controls to the keys you want. I love that option. I'm almost 60 and my reflexes aren't as quick as they use to be. This game doesn't frustrate me when I mess up. At the end of each level you have the option to 'Replay' and improve your score. If you want a casual game to play with your family I highly recommend this one. Try not to do donuts in the park if you can help it! Rated 5 out of 5 by soccerstar2126 from fun game this is a great game I love it. it is a addictive game I can never stop playing I recommend to get the game!!!! Rated 5 out of 5 by DerekJeterFan1 from My Favorite Game To Date! This is my favorite Big Fish game so far. I got the trial and I played it all at one time and had to buy the full version once I finished it. It is very realistic since you have to stay in your lanes, use the turn signal, stop at stoplights, and not crash into things. It took a few minutes to get used to using turn signals and not braking to hard but after that it was very fun. I play the last level the most because I like the longer routes.